To deliver a luxury program that is second to none, the client needs beautiful, upscale digital marketing that serves both consumers and the brokerage’s 8,000 agents around the world. The client also wants to measure the effectiveness of that marketing. The brokerage is looking for a better approach to marketing and selling distinctive properties around the world. The ability to reach potential buyers everywhere is crucial, as is consistent, professional branding. The client wants their agents to be able to easily share properties via modern media with potential buyers and agents everywhere. Reaching international and multicultural buyers is critical, and the client wants to be able to gauge its efforts’ success. To win more presentations, the brokerage needs to equip their agents with an exceptional marketing approach that will attract luxury buyers, both locally and globally. 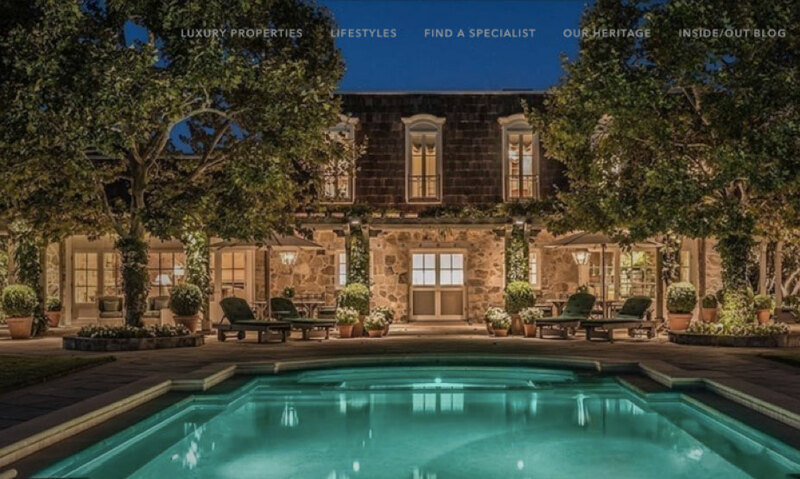 Proxio worked with the brokerage to create an elegant consumer-facing website that includes their entire luxury portfolio. The site is multilingual, supporting 17 languages and the associated currencies, to address the needs of international and multicultural buyers. A lifestyle-focused approach, which appeals to buyers of luxury homes, is offered on the site. 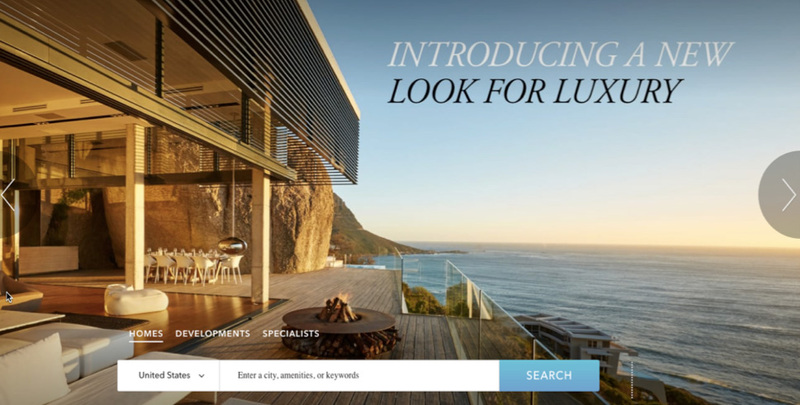 Every luxury agent is highlighted on the new site and has access to sophisticated digital marketing tools to easily promote any of the brokerage’s listings. All digital marketing activity for the properties is tracked through every channel to provide insight into marketing activity. Each brokerage agent automatically receives an elegant website that promotes both the agent and the agent’s listings. Agents enhance their listings by including additional images, videos, 3D tours and location information. Attractive digital brochures are automatically created for each listing and are easily shared with clients and other agents via html emails and social links. The system enables the agent to reach more buyers by putting the inventory in the hands of motivated agents around the globe for faster, more cost-effective sales. Consistent branding is maintained throughout the process by automatically applying buyer agents’ branding, which ensures that marketing materials are attractive and professional. The client gains detailed insight into all digital marketing activity through the extensive analytics capability of the Proxio system. 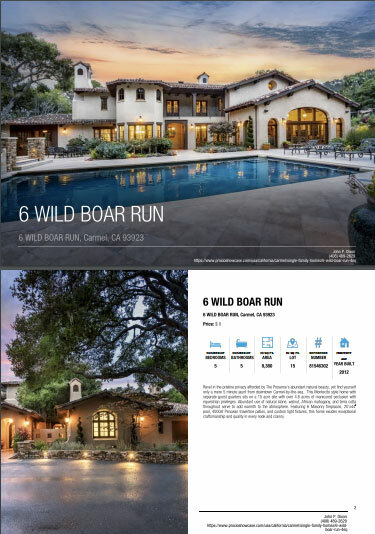 The brokerage can track leads, property views, and brochure downloads, as well as view followers by location, language, and marketing channel. This gives them real-time visibility and feedback on what worked and what didn’t. 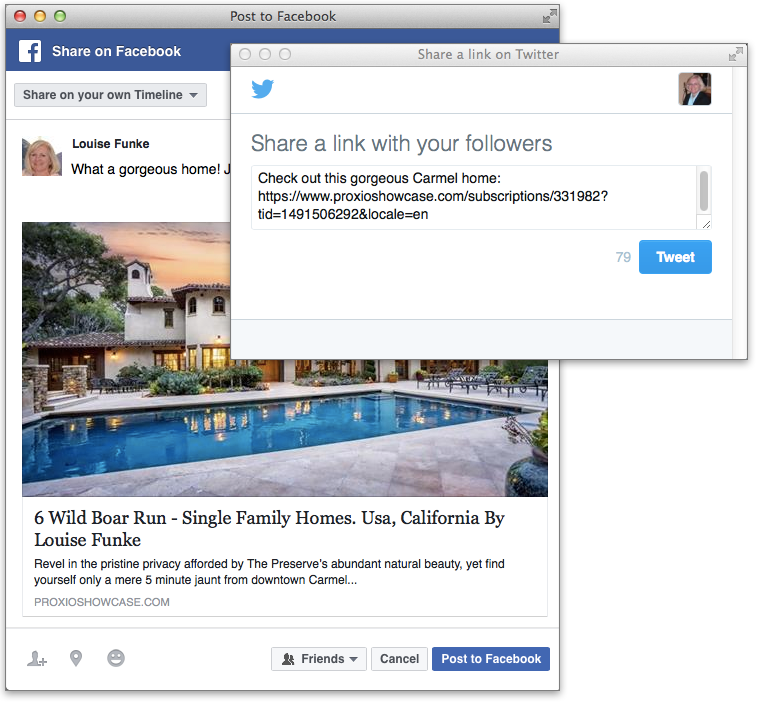 The system makes it easy for agents to promote their favorite properties to their personal networks via email, Facebook, LinkedIn, Google+, Twitter and Pinterest, with full confidence that all leads are tracked and credited to them. Being able to share in multiple languages vastly increases the exposure of the properties to potential buyers around the globe. The client’s agents now provide high-end sellers with the exceptional property marketing that those sellers expect. Listings are beautifully presented and available in multiple languages to appeal to international and multicultural buyers. Properties are syndicated through a motivated agent channel with global reach, which allows the agents to attract more potential buyers than their competition. Activity tracking and real time feedback shows sellers that the marketing works.